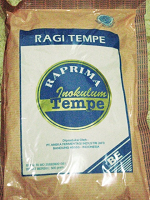 Raprima Tempeh Starter ( Contains Rhizopus Oligosporus , rice powder) 4500 Grams. (9 bags @ 500 Grams). This comes with a tracking number so you can track the progress of your shipment. 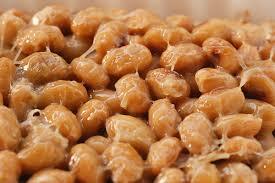 One kg of dry soybeans prepared as directed will make 1.5 kgs of fresh tempeh. Preparation time is less than 2 hours. Incubation time is about 24 hours at 85 F - 89 F (32 C). 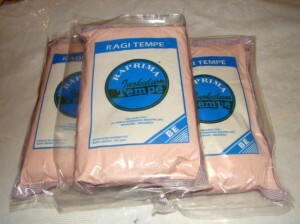 This Raprima Tempeh Starter Kit can produce 4050 Kg. fresh tempeh from beans, with 2 grams of starter, accordantly to the producer 500 grams could make 450 Lbs fresh tempeh per package. Contains NO products, is GMO. The Tempeh culture contains spores of Rhizopus Oligosporus, Rice flour, needed as a medium, which makes a beautifull standard Javanese tempeh, and keeps the traditional taste!